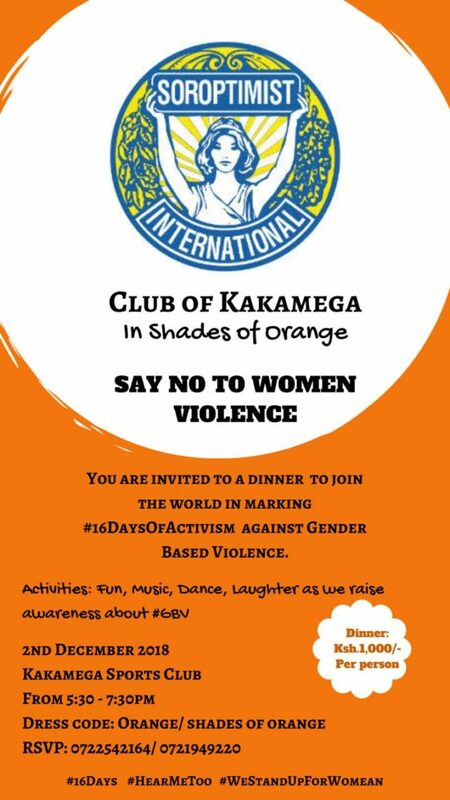 A Dinner to Mark the #16Days of Activism against Gender Based Violence. An opportunity to gather people in a fun event to sensitize them on Gender Based Violence. Activities include: dinner, music, fun and laughter. It will also mark as a change of insignia of the Club.